In a medium bowl, whisk together the lemon juice, cheese, garlic and mustard. Slowly stream in the oil, whisking constantly to combine. Season with salt and pepper. 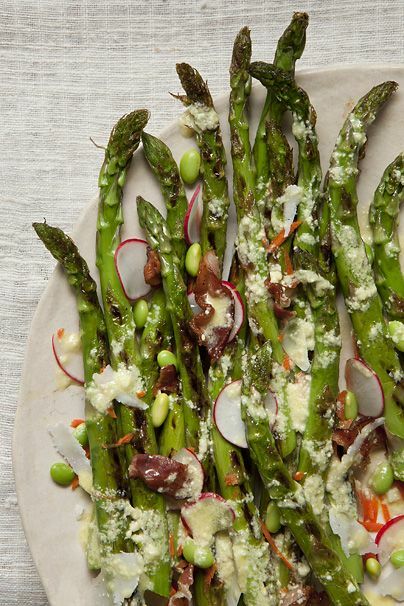 On a heated grill or grill pan, cook the asparagus, turning once, about 3 minutes total. In a large bowl, toss together the radishes, carrots and edamame. Top with the asparagus and bacon. Drizzle with the vinaigrette and sprinkle with parmesan.